In Part 1, I discussed some of the possible formats and asked for feedback. The response was very positive, and it was clear that many, many people were excited about getting backups of their campaign. Taking the custom XML schema route (based very loosely on Atom), I worked on this over the weekend and made quite a bit of progress. I’m happy to say that we’ve launched version 0.1 of the backups. Why 0.1? Well, I’m not ready to say that it’s fully complete, yet. It contains all your wiki pages, adventure log posts, campaign forum posts, and characters. However, I’d like to get some feedback on the XML schema, and also let me know if there’s anything else that is missing and should be included. Remember: At least for now we’re not going to mess with uploaded images or maps. Maybe in the future. 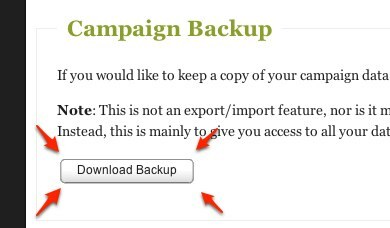 To get your backup, click on the Edit Settings link on the campaign sidebar. From there, scroll down near the bottom of the form and you’ll see a place to download your backup. Click the button and save the xml file. HTML? PDF? I’d pay for that! A lot of people wanted an HTML or PDF version, and that’s too much to ask at this stage. However! With the source as XML, it’s fairly straightforward to convert or translate to HTML, and I assume it’s not that bad to go to PDF (I’ve never done XML -> PDF, so I could be wrong there). If there’s anyone in the community who wants to step up and create an XSLT (or the equivalent for translating to PDF), we’d love to have it. I’ll offer a free 1 year Ascendant membership, a t-shirt, and our eternal gratitude to the first person to do it. However, hold off for now, until I can say for sure that the schema is locked down. Update: The prize has been claimed by Kyle. He has created a kickass design for displaying the backups, and we’re working on figuring out how to integrate it into the download package. Give the backups a look, and tell me what you think. * The links should ideally all be local. i.e. 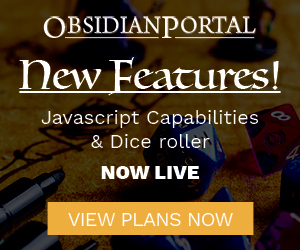 instead of “obsidianportal.com/campaigns/mycampaign” it would be “/campaigns/mycampaign”. This would help with internal linking. * Some extra attributes on the sections would be helpful. Specifically, a “title” or “section” attribute might help. * Why are all the html content elements marked as gm_only?